Clear Skin serum suitable for oily and overactive skin, made with 99% naturally derived ingredients. Andalou Willow Bark Pure Pore Serum has fruit stem cell complex with Argan stem cells, willow bark and salicylic acid to help purify your pores, curb bacteria, absorb excess oil, and fade the appearance of post-blemish pigmentation. Aloe Vera hydrates and calms inflammation to give you a clear, balanced complexion. 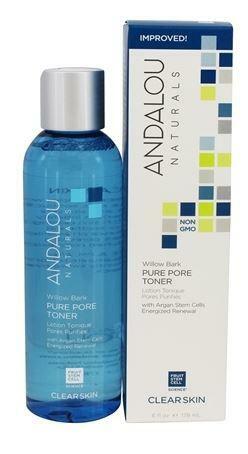 How to use Andalou Willow Bark Pure Pore Serum; AM & PM. Apply lightly on clean face and neck, prior to moisturiser.